The Genius of Play’s new public service announcement campaign reminds parents about the negative effects of overscheduling and play deprivation. 5 Up and 5 Down! 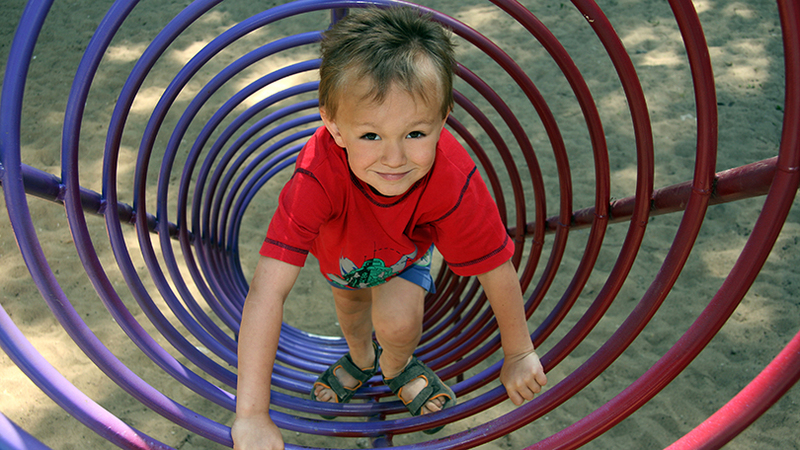 Ellen Metrick, Human Factors Specialist, suggests 10 activities to help regulate a child’s sensory system during play. Play isn’t all fun and games — it’s also an important teaching tool! Think of it as recess and study hall all rolled into one. Through play, kids learn how to interact with others and reach critical developmental milestones. Active play helps kids with coordination, balance, motor skills, and spending their natural energy! During play, kids learn to cope with emotions like fear, frustration, anger and aggression. Playing with others helps kids negotiate, collaborate, compromise, share, and much more! Children learn to think, read, remember, reason and pay attention through play. By allowing imaginations to run wild during play, kids create new worlds, form unique ideas, and much more! Play lets kids exchange thoughts, information, and messages. Through play, kids learn valuable skills they’ll use for a lifetime. 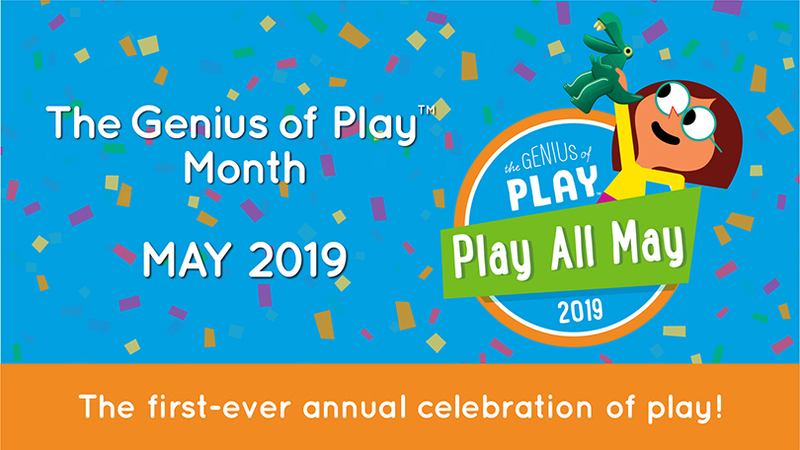 The Genius of Play™ is your one-stop source for play ideas that build on these skills (with little to no prep time), expert advice and insights, and the latest research on the value of play. Whether the sun is shining, the rain is falling, or you and your family are on the go, there is always time to play. Sort our play ideas by age, benefit, and prep time to play every day! Enjoy a healthy snack while learning! Experts on education, childhood, and play share the latest information and research about the importance of play, childhood development, and tips you can use. Find out ways to incorporate play into your school day with play-based lesson plans that align perfectly with the curriculum. Whether it’s a stuffed animal, action toy, puzzle, doll, or race car set, toys ignite kids’ imaginations, curiosity, critical thinking, and more. See how toys have evolved since waaay before you were a kid! Learn how to select toys that match your child’s interests, abilities and developmental skills. What’s Your Child's Personality of Play? Take The Genius of Play’s ‘Personality of Play’ quiz and find out your child’s play personality!